Paco Rubio Fotografía (Barcelona, Spain) on 8 February 2011 in Landscape & Rural and Portfolio. Entrada a Villatuerta por el puente medieval de dos ojos de medio punto sobre las aguas del río Iranzu. 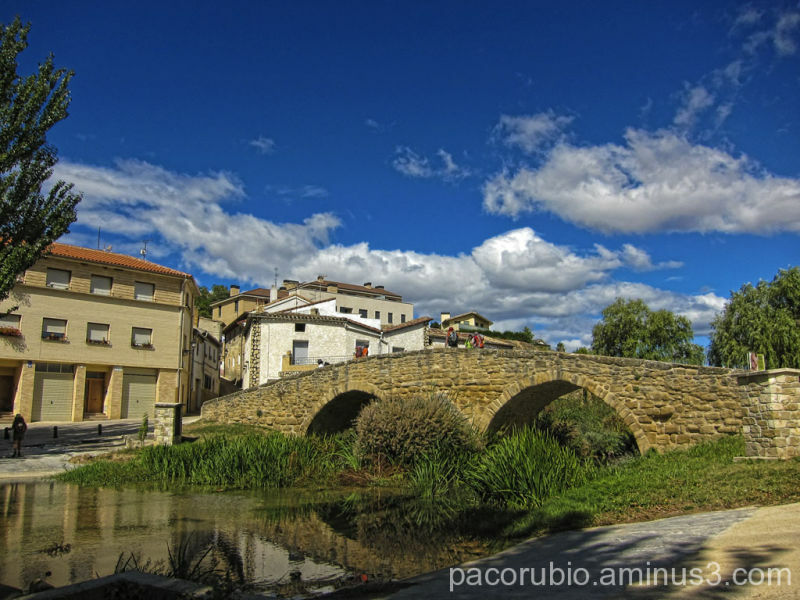 Great shot of this wonderful stone bridge with the town framed behind it. A beautiful landscape and the water adds to the illusionary mirage effect. Looks like a beautiful summer weather.. blue sky, sun light and green grass.. lovely composition. Me gusta la urgencia que la imagen genera, de la necesidad de cruzar ese puente. M'agrada la tonalitat del cel i el resplendor que el sol dona a tota la imatge. Un lloc bonic. A very idyllic and pretty scene. Great colours and contrast.